In the presence of the Community College’s dean, vice-deans, head of departments and the college’s affiliates and administrative employees, and by the participation of the college students, the Community College held an honoring ceremony for its former dean, Dr. Khaled bin Saad Al-Salimi. The ceremony was held at an event hall in Makkah. At the beginning, Dr. Abdul-Mameen Abdullah welcomed the attendees. Then, Dr. Essam bin Abdullah Ba-Zarah, Dean of the College, delivered a speech in which he mentioned the personal and administrative characteristics of Dr. Khalid, and the achievements he had made during his tenure as the dean of the College. 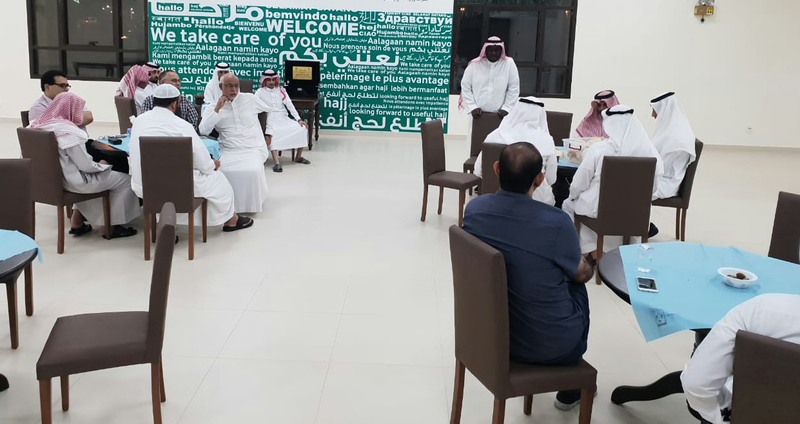 After that, many speeches were delivered by the vice-deans, heads of departments, faculty members and administrative officials, who thanked and appreciated Dr. Khaled bin Saad for what he had accomplished during his tenure in the college, wishing him success in his future life. Thereafter, Dr. Khaled delivered a speech thanking all the attendees for the honoring ceremony and their warm words, referring to the brotherhood spirit ant cooperation in the college’s team work that contributed to the success of what had been accomplished during the past period. At the end of the ceremony, Dr. Khaled received a present and shield from the college, and then all the attendees had dinner in honor of the former dean.